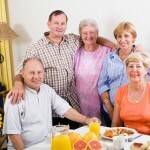 Modifying the realtor’s claim of “Location, Location, Location” gives us an objective for our senior and elder years. If we’re honest with ourselves and our families, the time will come when we will need to adjust our living style. We no longer will have the energy to maintain the family home and the cost of hiring the work done makes little sense. I suggest that what we need to seriously consider is a community where we can contribute and receive attention from people who have common interests. Aging in place is a concept most of us say we want; however, the problem of stairs, lawns, driveways, and adult children who live too far away or are too busy to help, make aging in place seem like a burden instead of peace and security. In addition, our suburban homes are often far from shopping and medical services. Our neighborhoods change during the decades, so our friends have likely moved away and strangers now live around us. I propose that we consider community as an objective for our advancing senior and elder years. A community where we can pursue our common interests and continue to be contributing members of society that will bring purpose and peacefulness to our lives. For some that might mean a retirement community. For others that might mean living near a university where other seniors pursue cultural and academic interests. We have many options today that previous generations didn’t have. Let’s consider what makes sense and let go of what no longer gives us what we really need-a community of individuals with similar interests where our minds and our hands remain active and we have a strong sense of purpose. 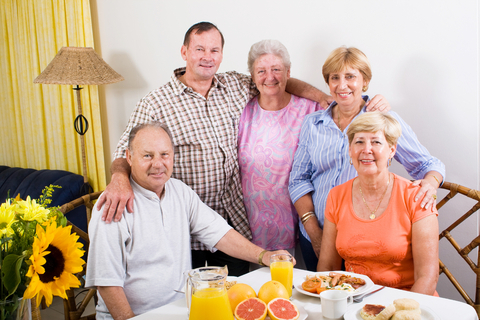 Have you considered cohousing as an option for you as seniors, or as a family, to build a solid community? Cohousing communities are small neighborhoods with shared community room and grounds. They are managed by a collaborative resident management system designed to encourage engagement among the neighbors and care for the common areas. Cohousing offers many advantages over city neighborhoods in that they are intentional communities that generate significant social capital over isolation and dependence on people who are sometimes too busy in their own lives. Greater independence can be found in these intentional communities with supportive and caring neighbors outside your door. Mr. Jim Leach of Wonderland at www.whdc.com is a cohousing developer whose fingerprints are memorable in cohousing communities from coast to coast. In Fort Collins we already have 2 cohousing communities in River Rock and Grey Rock. Both are intergenerational. 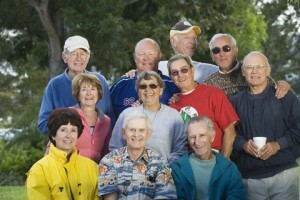 It is possible and likely that in the future we in Fort Collins will have a senior cohousing community. If you are interested in the concept, please contact me for more information. The local bookstores also have good books for reference. In November 2011 I attended a Health District of Northern Larimer County Community Discussion to determine the needs of our residents and providers. The discussions were held in small groups of similar interests. All the groups’ ideas were summarized and distributed to the participants and appropriate county offices. One topic of interest to me was and is the need for more information and resources for the care of aging loved ones. The Eldercare Network website has a comprehensive list of resources and providers. When we are facing a growing number of seniors who are living longer, our community needs to adapt on many levels. For family members who live out of town or work full time and raise a family, resources are the answer. Being proactive with siblings and our aging loved ones will make the experience better overall. The conversation is difficult to start, but what sense does it make to wait for an emergency situation when decisions are made under duress? We all want to live healthy and happily to the end of our lives. There is hope. Old? No way! Let's talk. I'm getting old. Fortunately I won't have to live under the old concepts of age and care. Recently, more articles about innovative personal care and housing are appearing in magazines and newspapers. In my community a few individuals in professional positions are working to broaden these ideas and change the paradigm currently in place. Private agencies offer great services to help seniors stay in their own homes. Another option available in our community is co-housing. More information and support is available to caregivers, but we need to open our minds to more innovative concepts. A new approach to Assisted Living: Let them eat chocolate!